Not every guy is a paint-your-face-and-chest kind of football fan. We get that. 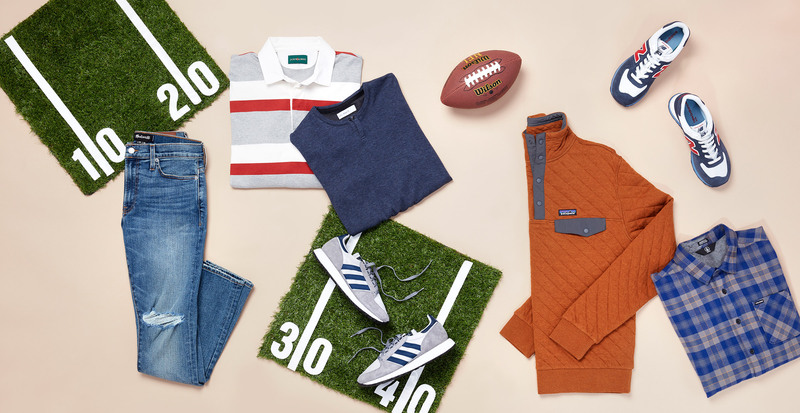 So if you choose to wear clothes on game day, we put together a couple of smart options to help you show your team pride. Because T-shirts and hoodies are all well and good, but these looks have the perfect balance of style and athletic appeal. Sometimes the best tailgates are in someone’s living room, beer in one hand, foam finger on the other. For those situations, comfort is key. Slim-straight jeans are great for lounging, and a plaid shirt in your team’s colors is a good way to go. 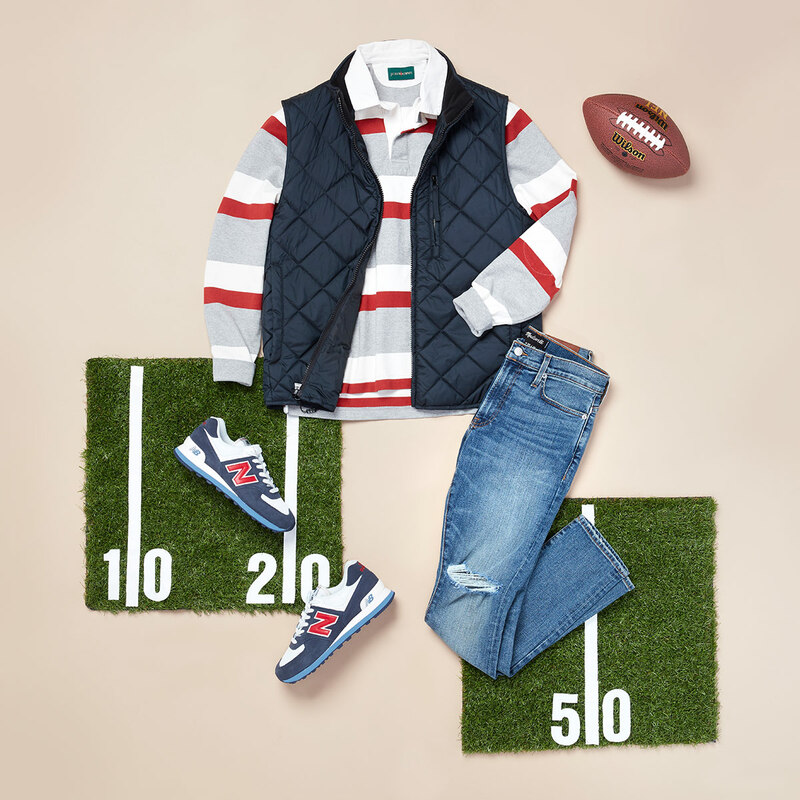 If you’re headed outside at halftime for a pickup game or to man the grill, you’ll want to layer up. 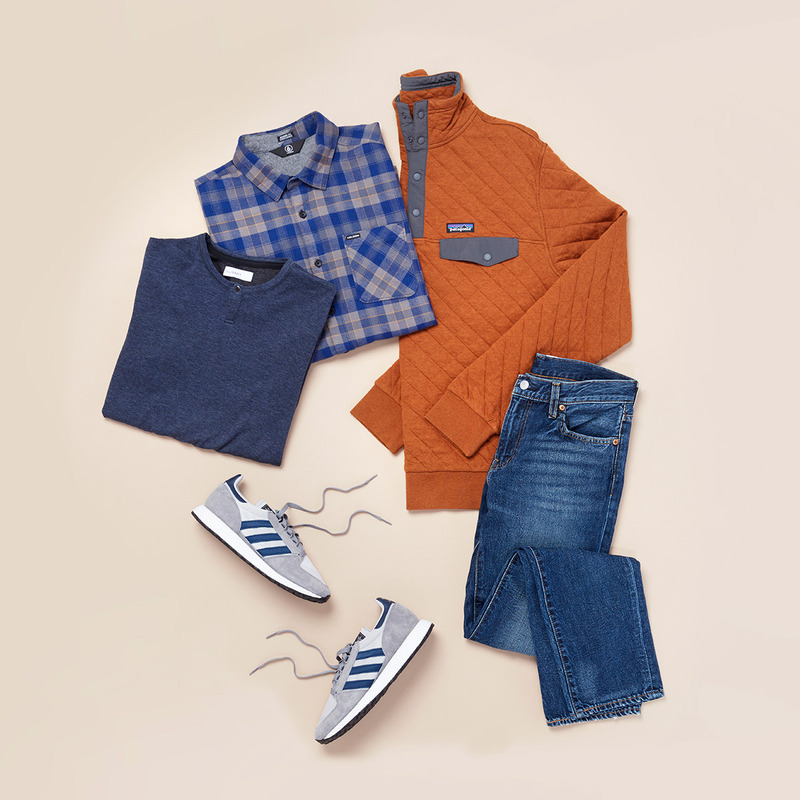 Since the colors can get a little loud (we’re partial to orange and navy, since Trunk Club HQ is in Chicago), feel free to temper the vibe with a sweater or a pullover in a more muted shade. We’ve already established that layers are your friend, but here’s how to do it. Choose pieces that are thin yet hard working, like a quilted vest or pullover. The feathers and down within the quilting retain heat and are compact ways to keep toasty. We’re showing a warmer-weather option here, but for those in colder climates, it’s easy to tuck everything underneath a top coat or puffer when the chill really sets in. Style tip: If you’re planning to layer, make sure you’re not covering up your team’s colors. We recommend colorful sneakers, scarves, or outerwear.